ules Verne was a prolific French writer who greatly influenced the science fiction genre. Verne is the second most-translated author behind only Agatha Christie. “Go down the crater of the volcano Snaefells. Follow the shadow just before the month of July. You will find your way to the center of the Earth. I did it.” That mysterious message, found in a long-lost letter, propels a young man and his uncle on the adventure of a lifetime: to a prehistoric world below the earth where dinosaurs and other strange creatures still roam. 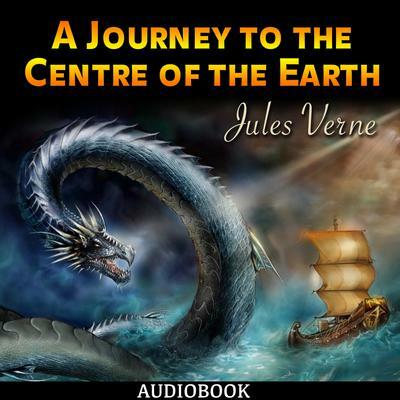 Jules Verne’s classic sci-fi novel tells the story of German professor Otto Lidenbrock who believes there are volcanic tubes going toward the centre of the Earth. He, his nephew Axel, and their guide Hans descend into the Icelandic volcano Snaefellsjökull, encountering many adventures, including prehistoric animals and natural hazards, before eventually coming to the surface again in southern Italy, at the Stromboli volcano. ‘Journey’ has been read by millions of inquisitive minds and has influenced some of the worlds most famous explorers such as Admiral Byrd, who announced on his 1926 expedition to the North Pole that "it is Jules Verne who is bringing me."